Read Dealer Spotlights that showcase our current dealers capabilities and look into how your company can take advantage of great benefits when you Become a Dealer! Also below, review our Dealer Program which enables you to take full advantage of the best pricing and benefits we have to offer! 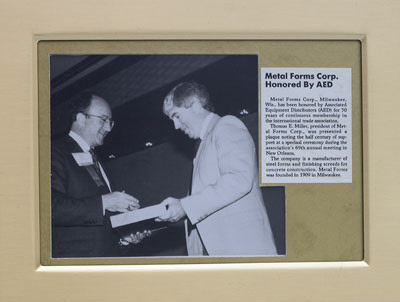 For over 100 years, Metal Forms Corporation has pioneered, engineered and produced durable products supported by dependable customer service and prompt delivery. As an MFC Dealer, you will receive many benefits designed to help your business. We are committed to our dealers and believe our programs will assist in strengthening these partnerships. A level to accommodate every dealer! "Commitment to Inventory & Knowledgeable Staff"
Established in 1976, Form Tech has specialized insupplying concrete form-work to contractors throughout the Midwest and Mid-Atlantic for more than 40 years. Case in point... Coleman Materials website's "ABOUT US" Page begins with; #1 - You don't care about us #2 - We know that - The Webpage goes on to emphasize that customers ALWAYS come first, and that providing materials, when requested with great product knowledge and customer support is Coleman Materials stock in trade. ...for today’s working professionals in the industry. With over 100 years of combined experience, the staff is able to sell a large product line, so much so that ProContractor Supply considers themselves a “Single Source Supplier” for all construction needs. ...when the Acrow-Richmond Company was formed to manufacture high quality form hardware and accessories. 10 years later the namesake National Concrete Accessories was founded in Edmonton, Alberta as a distributor of quality products. Through superior customer service, NCA continued to expand in Western Canada while Acrow-Richmond continued to grow in Ontario. 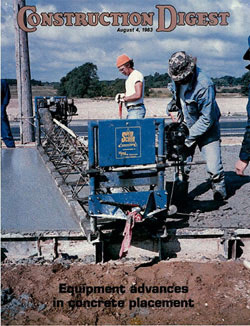 In 1985 the two companies merged to form Canada’s first national distributor of concrete related products. ...with a small operation which has grown to be one of the leading suppliers of construction materials and supplies in the Mid-Atlantic. While operating from their state-of-the-art facilities, Chaney's 250+ employees are committed to 100% customer satisfaction. 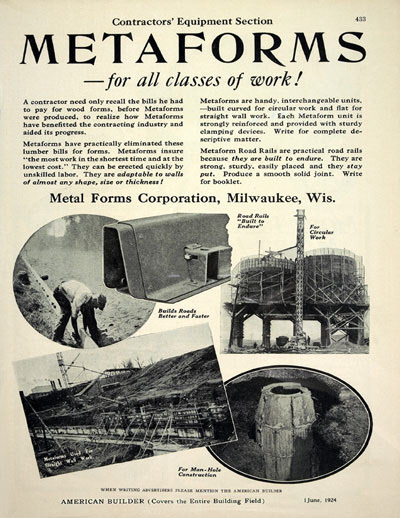 In 1996, Chaney Enterprises/The Concrete Store, became a Metal Forms Corporation Dealer, and it has proven to be an excellent partnership ever since. 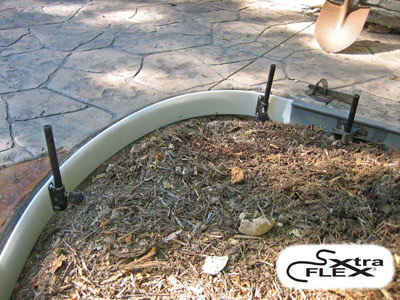 As a Master Dealer, Chaney stocks Metal Forms products such as; steel forms, Poly Meta Forms® and Sterling® TOUGH GUY wheelbarrows. Priding their company as a "One-Stop-Shop" in superior quality and selection of more than 3,000 construction grade tools, supplies and materials, they also carry; decorative concrete supplies, masonry block, site prep and safety materials. BARNSCO, INC. is fully committed to the business of renting to concrete construction contractors. Here is the story about their rental fleet with emphasis on a very successful screed rental program. Headquartered in Dallas, Texas, MFC Master Dealer BARNSCO, INC. offers a complete line of concrete construction materials, products and equipment. "BARNSCO sells everything that goes in or on concrete" says Jeff Barns, President. 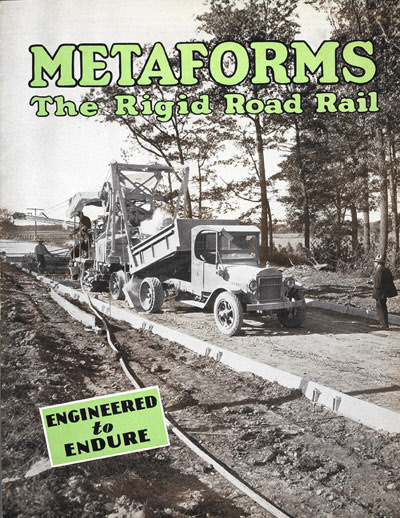 "Our customers are concrete contractors of all sizes... from those that pour driveways to those that build highways." ...is the motto of Maxwell Supply Company of Oklahoma. Since 1958 the company has serviced Oklahoma City, Tulsa and Lawton contractors with quality materials and products for the construction industry. All of Maxwell Supply's 65 employees strive to provide their customers with an array of supplies for site-work to highway construction. Their highly professional and qualified personnel service the central, northeast and southwest areas of the State of Oklahoma with the highest level of service and largest inventory in their area. 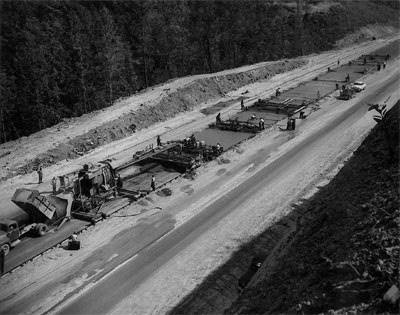 Founded in 1907, Salmon Bay Sand & Gravel has evolved into one of the Northwest's largest supplier of construction materials. 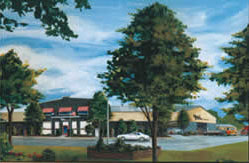 Next time you are in Seattle and looking for a heavy-duty wheelbarrow, Salmon Bay Sand & Gravel is the place to go. You can't miss the Sterling prominently on display as you enter the dealership located in the heart of Seattle. 1909 1912 1919 1920 1926 1930 1935 1936 1956 1963 1969 1970 1975 1981 1982 2000 2004 2007 2008 2009"
Metal Forms Corporation (MFC) begins operations under the name of Reichert Manufacturing Company by manufacturing forms for concrete homes, buildings and silos. 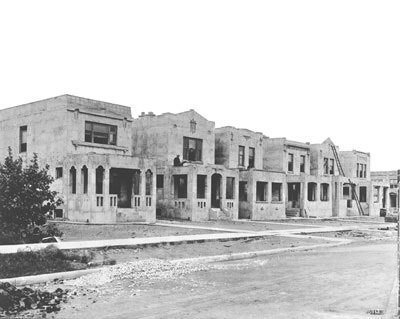 Forms designed for U. S. Steel & Tin to build over 200 "Edison Estates" all concrete homes in Gary, IN. 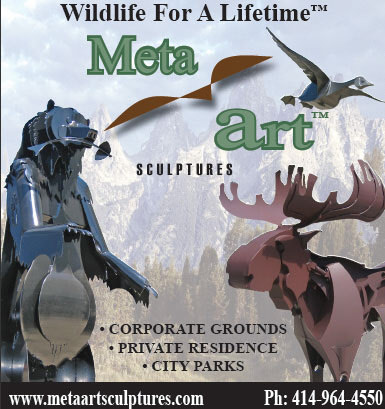 Name changed to Metal Forms Corporation. 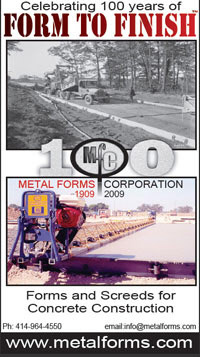 MFC begins manufacturing paving forms and helps set world concrete paving record. 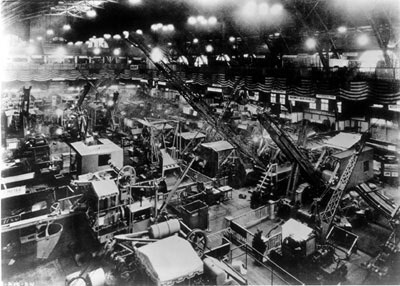 MFC exhibits at the "Road Show" in the Chicago Coliseum. G. H. Miller becomes President of MFC. Harold E. Miller joins MFC. 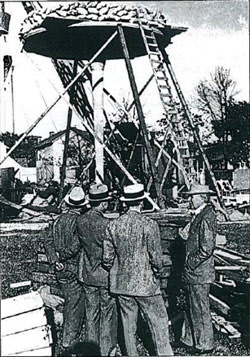 MFC supplies forms for the innovative "dendriform" concrete columns designed by Frank Lloyd Wright. 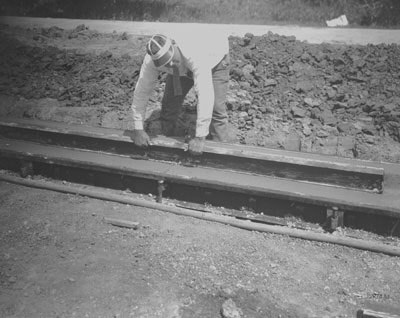 New paving form design helps build the Interstate Highway System signed into law by President Eisenhower. Harold E. Miller, VP of MFC, purchases Curbmaster of America, Inc. which manufactures concrete paving equipment. 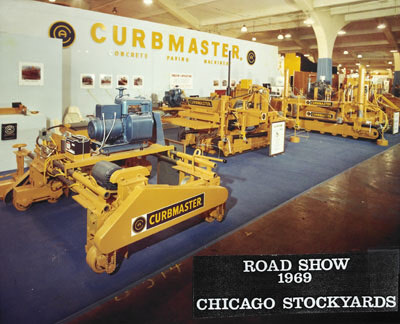 The first commercially produced slipform curb & gutter machine is introduced by Curbmaster at the "Road Show" staged in the Chicago Stockyards. 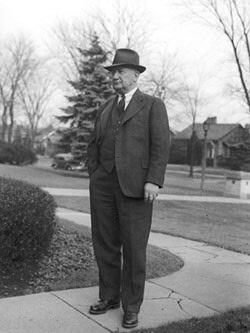 Harold E. Miller becomes President and sole owner of MFC. Harold E. Miller receives the "Half-Century Exhibitor Award" at CONEXPO/Road Show. Thomas E. Miller becomes President of MFC. 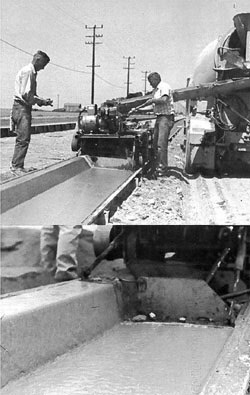 MFC begins the manufacture of concrete finishing machines (Speed Screed®). 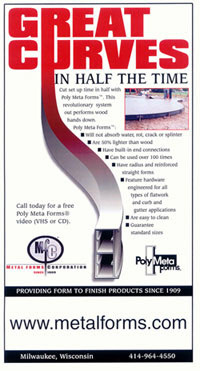 MFC introduces a plastic concrete forming system (Poly Meta Forms®). Moose Park dedicated as part of MFC's 95th Anniversary. 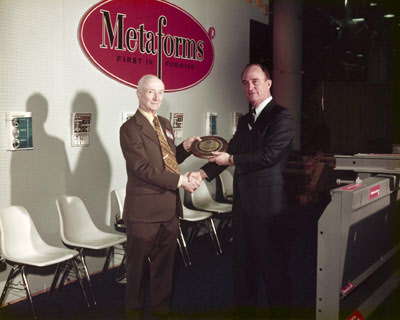 MFC wins the "Most Innovative Products" award (XTRA-FLEX®) at the World of Concrete. 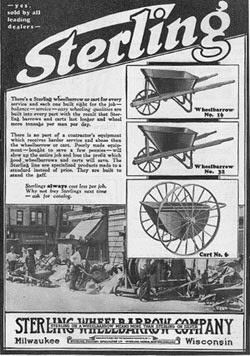 MFC purchases Sterling Handling Equipment which has been manufacturing wheelbarrows since 1905.